You’re promoting your event on Facebook in countless ways. But you’re not converting enough “likes” and “shares” into ticket sales. What can you do? Sometimes the answer is the most obvious one: sell tickets in the same place where you’re promoting your event. And now you can on Facebook. Eventbrite has partnered with the world’s largest social network to launch a new checkout experience for your Facebook Events that results in 20% more ticket sales, and double the free registrations, compared to those that don’t (Facebook data in partnership with Eventbrite, March 2017). If your event qualifies, this free integration enables potential attendees to discover and purchase tickets for your Eventbrite event without ever leaving the Facebook app. Facebook has found that events that sell tickets directly on Facebook have, on average, twice the number of viewers on Facebook as those without native tickets. Learn more about the benefits of connecting your Eventbrite event to Facebook here. No matter the ticket price or type of event, people often don’t make it past the first step of checkout. They may abandon their order if the process is too tedious — or they’re sent to another site and get distracted. A seamless checkout can help reduce this drop-off and get more people to complete their purchase. 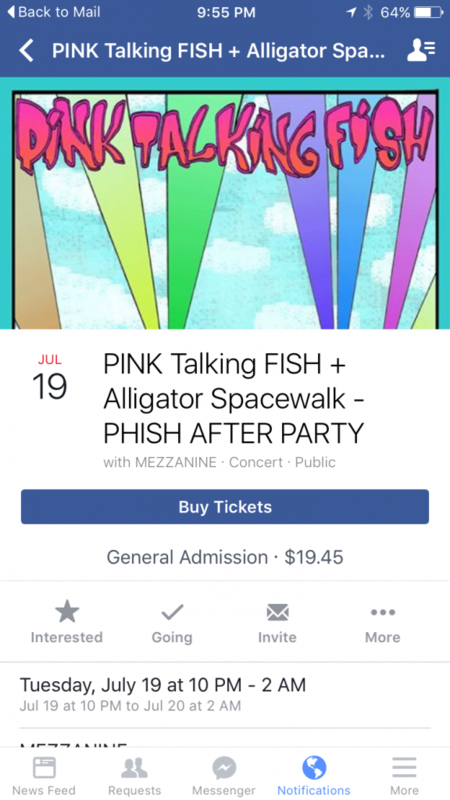 By selling tickets on Facebook, you’re making sure the ticket buyer never has to leave your Facebook Event to complete their Eventbrite order. Their payment information, name, and email address are pulled directly into the order form, so it only takes two taps to buy tickets once Facebook’s checkout process begins. Attendees can also conveniently access their tickets on Facebook, so they’ll have no problem getting into your event. The only thing better than a sale? A sale and a share. When ticket buyers complete an order on Facebook, they can easily mark themselves as “going” to your Facebook event. Their RSVP is then shared with their friends, expanding your reach and generating more buzz. You can also show up in more News Feeds, regardless of shares. Events published to Facebook through Eventbrite’s free tool get recommended more often in Facebook search and News Feed results. By allowing people to buy tickets on Facebook, you can boost your bottom line. Here’s how. Once you publish your event listing on Eventbrite, simply go to the “Manage” page on your Eventbrite dashboard. From there, hit the “Add to Facebook” tool to either create a new Facebook Event or add your Eventbrite tickets to an existing Facebook Event. You can track ticket sales on your Eventbrite analytics dashboards. Ready to double your ticket sales or free registrations? Check out this step-by-step guide to set this up through your Eventbrite account. And to learn more about using Facebook to promote your event, check out the new eBook, Facebook and Instagram Reveal How Users Discover Events. Dana is a Product Marketing Manager, who strives to write about Eventbrite's coolest products using as few em dashes as possible. She firmly believes two things in life: Spam is a national treasure and Star Wars' Han Solo shot first. Quiz: Are you a Facebook Events expert?